We inspire people to live life vibrantly by advancing and connecting self, families and community. We customize and optimize a client's wellness through seven core areas to create a more centered, connected and fully-integrated life. Looking good jumpstarts and sustains feeling good! 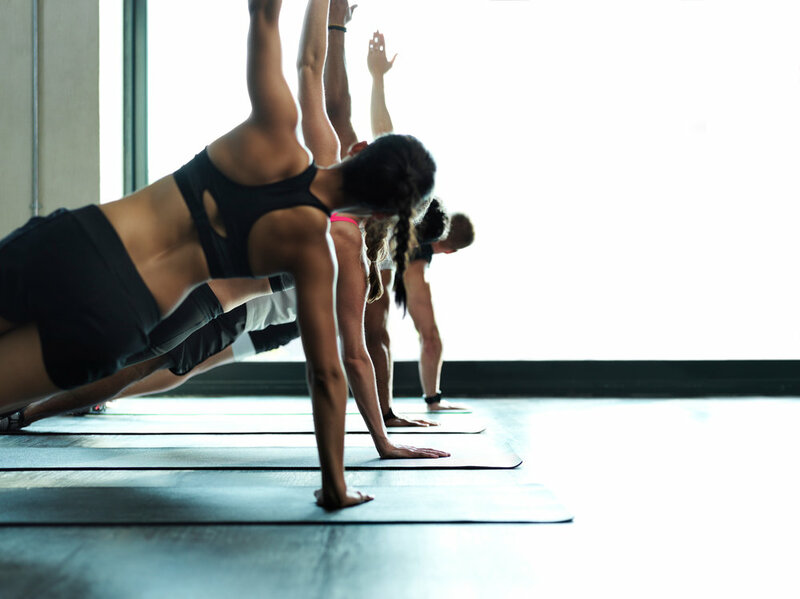 We lean on the power of movement to release feel-good neurotransmitters and hormones to support our clients' physical fitness and energy goals with invigorating classes like Vinyasa Flow Yoga, Yoga-Sculpt, Yoga-Barre; Tango, Salsa and Burlesque Dance, Self-Defense, Meditation and more. But we don't just sweat it out! We pepper in a playful twist to connect our clients to their creative bliss. The roadmap to life is unpredictable, with exciting interchanges and winding intersections. Our hand-picked, licensed Marriage and Family therapists, Psychologists and Somatic Alignment therapists compassionately expand you and your loved ones through the challenges causing you stress, anxiety, depression, relationship, work or psychosomatic issues in your life. Men, women, couples, children and families are welcome. All sessions are private. Let our practitioners support you in gaining the balance and clarity you need to achieve your goals and happiness. The art of Un-Doing is equally important to our self-care regimen. Release stress and tension in your body and skin through a therapeutic and detoxifying massage, facial and other sensation-based, alternative bodywork modalities. Each clinician is a valued member of The Center Method's alliance yet customizes your personal experience based on what your body needs to feel a little lighter and less reactionary to the daily stressors we encounter. The evidence-based research is undisputed: A child's ability in handling stress is partially determined by the bonding and soothing experiences they have with their parents in early development. We root our kids, babies and family class sessions in Attachment Theory's principles and through mulit-sensory fun for the whole family with classes like Mommy & Me Yoga, Baby Massage Technique Workshops, Mommy & Baby Dance, Zip-Zap-Zop Communications Skills for kids with Autism and more. Nicole Moore and Jennifer Musselman are licensed Marriage and Family Therapists in California. They met in graduate school while pursuing a Masters degree in Clinical Psychology from Pepperdine University and have shared in many life adventures together. The Center Method was born after the two realized they shared a mind-body-holistic approach and joined their zest for life with their education in mental wellness to create an inclusive community of personal development and health under one roof! Jennifer first uncovered the mind, body and purpose connection when she worked for MTV Network's Nickelodeon Channel as a corporate branding and public relations executive. Professional pressures eventually affected her sleep and physical and mental optimization before discovering the bio-psycho-social-emotional connection and yogic practices. With her personal C-Suite experience in start-up and clinical accolades in drug and alcohol recovery, Jennifer and her associates specialize in working with professional men, women and couples dealing with anxiety, stress, depression, purpose, alcohol moderation and relationship issues. Jennifer's approach is a multi-modality infusion of Attachment Theory, Object Relations, Cognitive Behavioral Therapy, Solution-Focused, Family Systems and Humanistic-Existential with an emphasis on connecting to a client's creative core. Jennifer is certified under Rudy Mettia, the Yoga Warrior, in Power Vinyasa Yoga, and includes adjunct Professor at the University of Southern California and Pepperdine University, contributor to Forbes, Huffington Post, Thrive Global, Psychology Today; and a three-times published self-help book author among her accolades. Writing, baking and dance are her personal cathartic pleasures.